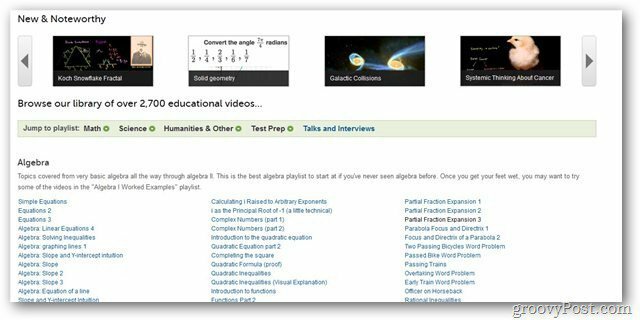 Khan Academy is an online website that is used mostly be students, college students and anyone who wishes to learn something – whether general knowledge or complex subjects. It has one of the largest, most diverse collections of educational videos on the Internet for various subjects. The website is not only helpful but also very easy to use considering the user friendly interface. 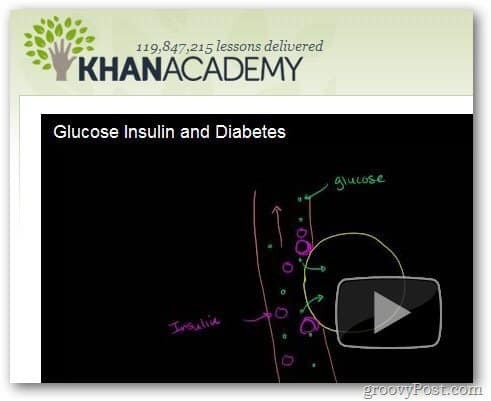 Khan Academy allows users to learn by two basic methods – watch and practice. The watch methods lets users to watch videos regarding different topics in a subject. For example, learning about Supermassive Black Holes in Cosmology or Home equity loans in Finance. The practice portion of the service lets users further solidify their concept regarding that topic by taking part in quizzes and tests. A person is required to visit the website and then scroll down to find the different subjects and topics. Once the user finds the topic he or she wants to learn more about, click on the lesson regarding that topic. Below the video, you can also find questions and answers filed by the members of the website that helps to further gain knowledge regarding that topic – something you do not usually expect to find in a textbook. Once you believe you have learned enough of a specific topic, you can visit the Practice section of Khan Academy’s website to put your knowledge to the test on different quizzes and tests. You gain points as you complete tests and with successful completion, the difficulty level of the test/quiz increases. A helpful section is the “Coach” is part on the site. It requires you to have an account on the website (free of cost). Once the account is logged in, you can study topics with coaches who will give you even a more detailed insight into the topic than the videos. Sell Your Privacy to Google for $25!